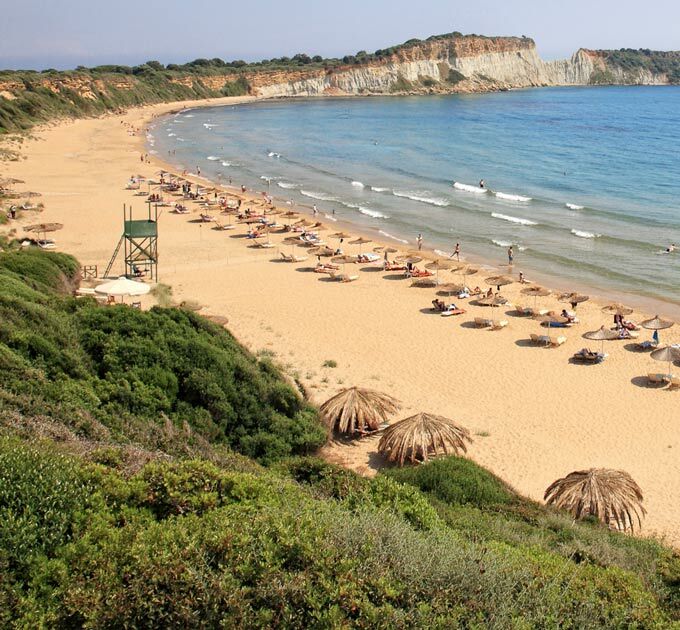 For many people the beach of Gerakas is the most beautiful one on the island. 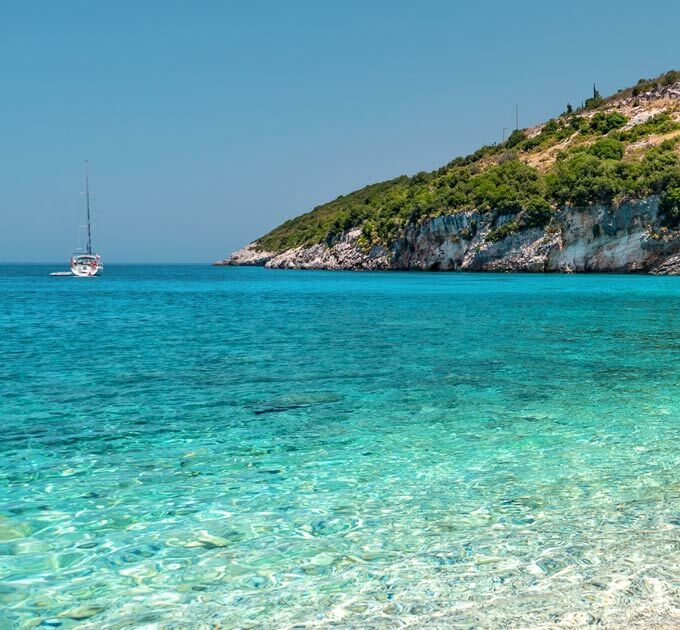 It belongs to Vasilikos, which is a wonderful bay with endless sandy beaches. Gerakas is a nesting beach of caretta caretta sea turtle, and attention is required by the visitors, because the beach is full of nests with eggs. However, those responsible for the Marine Park are always there and are constantly informing the visitors. 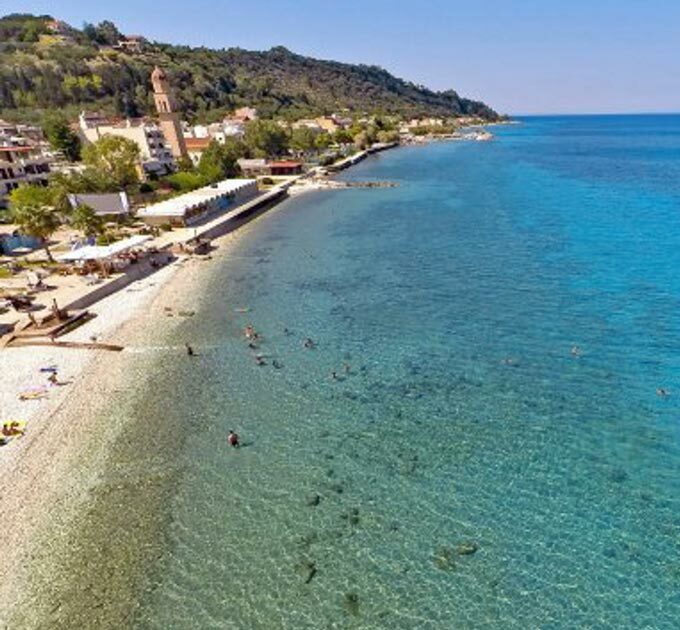 One of the main spawning beaches of the sea turtle caretta caretta in Zakynthos is Dafni, which belongs to the National Marine Park. It is a place of virgin, with crystal clear waters and a beautiful sandy beach. 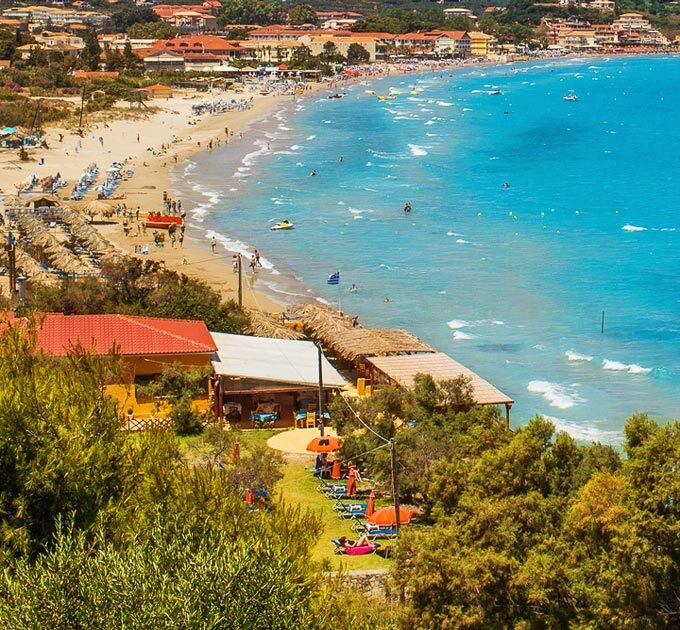 Dafni beach is located south of Zakynthos in the wider area of ​​Vasilikos. There, the sea turtles bring their eggs and the nests are protected by volunteers, so the beach closes for the public as soon as the sun sets. 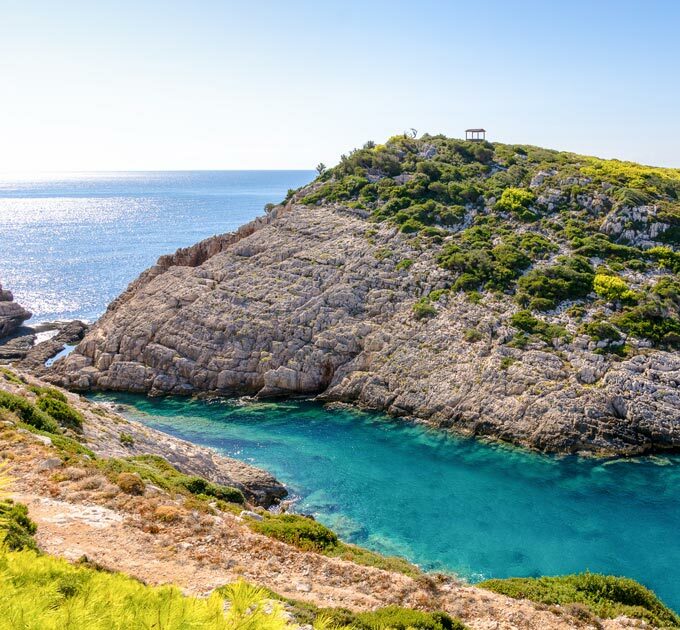 Porto Limnionas is an area with little creeks that "dive" in the crystal blue waters of the west and steep side of the island, a virgin landscape that will delight all visitors near the village of Agios Leon. There is a large carpark at the top of the bay, where you can find the path that leads down to the sea. Journeying down you get an excellent view of the bay which is roughly u-shaped with plenty of nooks, crannies and caves. 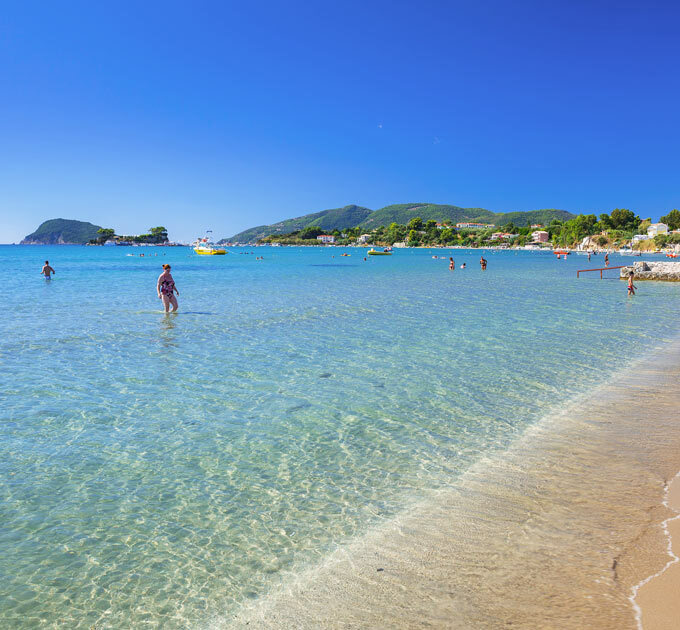 One of the most cosmopolitan beaches of the island, is the beach of Saint Nicholas (Agios Nikolaos) in Vassilikos. It is a bay with clear waters and fine sand, an organized beach with a variety of water sports. The largest advantage of the beach is its protection from the winds that often disturb the swimmers of the wider region of Vassilikos. 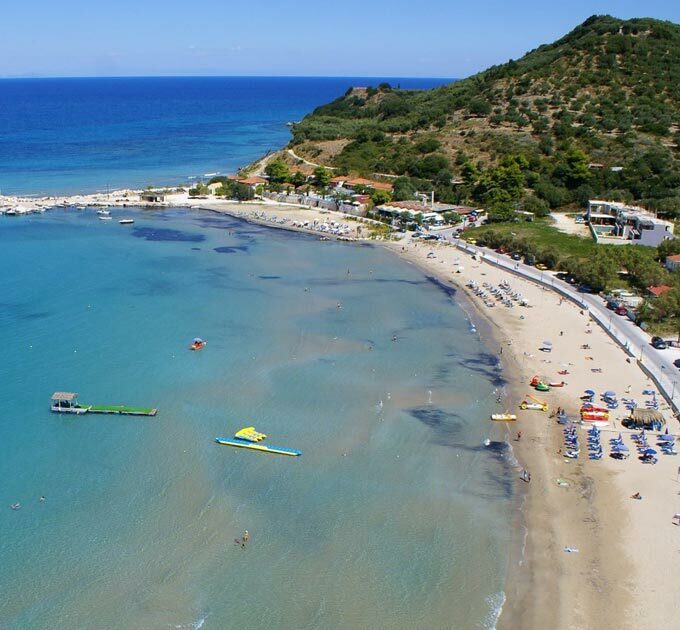 Another beautiful and very cosmopolitan beach of Vassilikos is Banana. An endless sandy beach, with crystal clear waters and every kind of activity, which will keep you entertained for hours. Banana beach is fully organized with umbrellas and sundecks available for rent. There are a few beach bars offering cold drinks and light snacks. 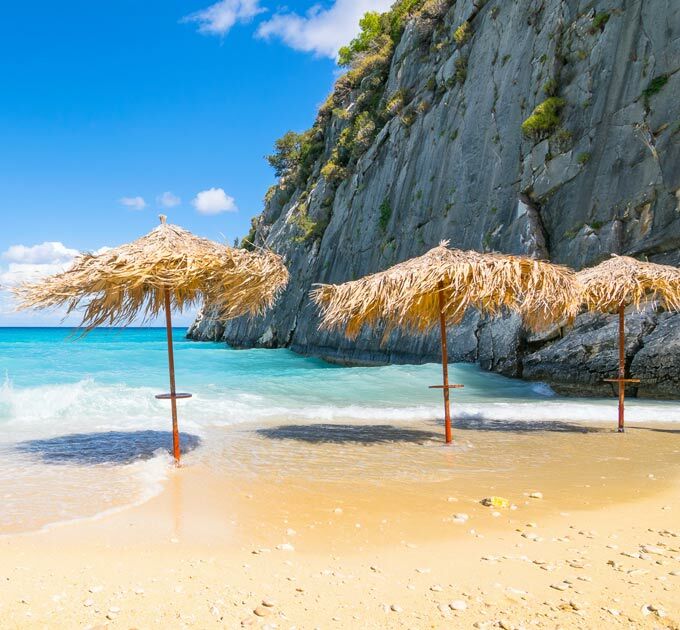 The crystal clear blue waters, the magnificent sandy beach and the Ionian atmosphere of Azzuro in Vassilikos will fascinate you. The pine trees give their shade to the sea and two rocks complete the beautiful scenery. The beneficial effect of clay on the skin makes tourists cover their entire body. The beach is full of clay and this makes it more popular. 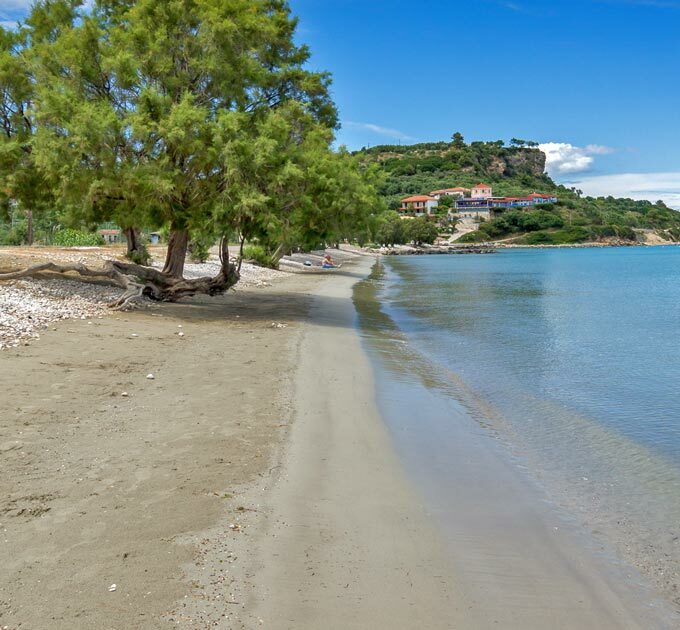 On the northern side of Zakynthos lies the beach of Makris Gialos. Picturesque surroundings, pebbles, crystal clear waters and small caves ideal for exploration enthusiasts complete the magical scenery. There is a diving school in a short distance away, while the taverns are famous for their local dishes. The beach of Xigia is distinguishing and unique, located on the north side of the island. Its waters have high sulfur content, and as a result a strange smell comes off, but this fact makes the beach ideal for the physical health of swimmers. Xigia is well-known to the locals and the island's visitors as a natural spa. 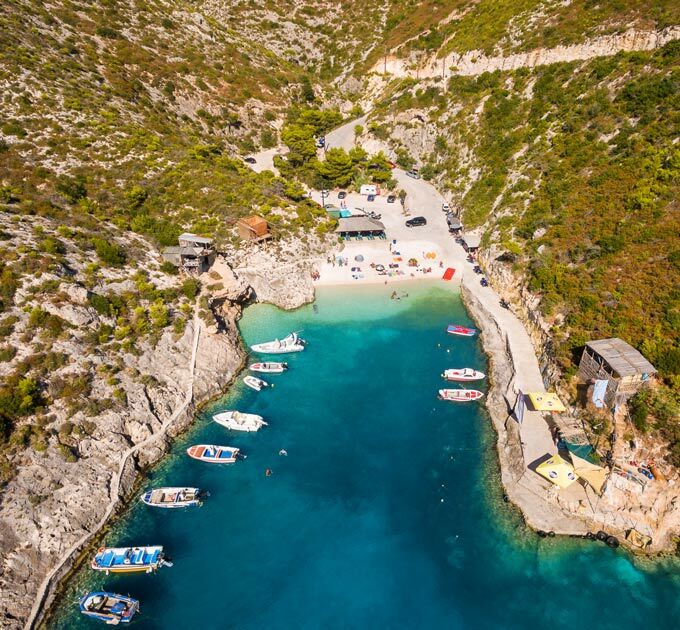 Porto Vromi is a majestic port, the nearest to the world famous Shipwreck beach. The bay is pretty small with white pebbles. Steep cliffs and crystal-clear waters are part of the enchanting setting while boats, starting from here, sail to the Shipwreck every day during the summer period. Laganas beach is located in the most developed tourist area of Zakynthos. It is one of the largest beaches in the Balkans, being over 9 kilometers of sand. 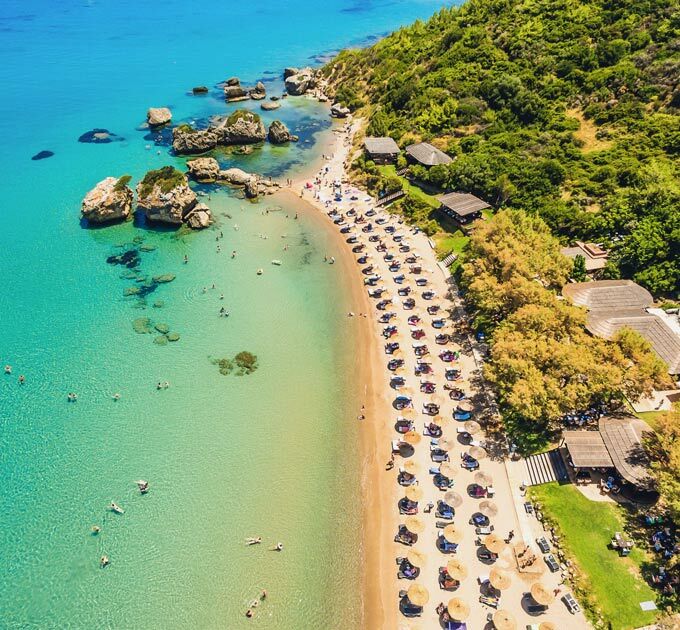 It is the most cosmopolitan and busy beach of Zakynthos with thousands of umbrellas and sunbeds, with shallow and warm waters. A few hundred meters away from its central point, there are many quiet places for those who avoid the crowds. Moreover, on the beach there are boats that take visitors on tours to Marathonisi and Keri. Taverns and bars can be found in all parts of the beach. 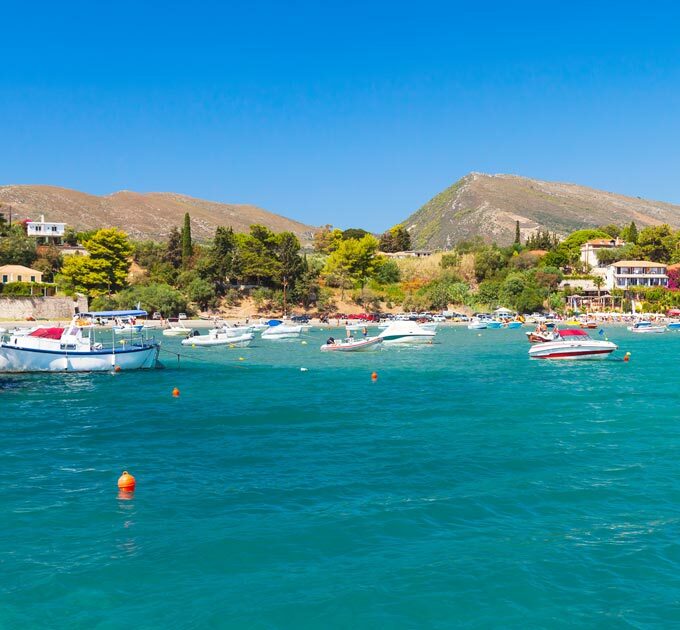 Kalamaki is located 6 km south of Zakynthos town, at the end of the eastern side of the bay of Laganas. The area is part of the National Marine Park, where the sea turtles Caretta Caretta lay their eggs. 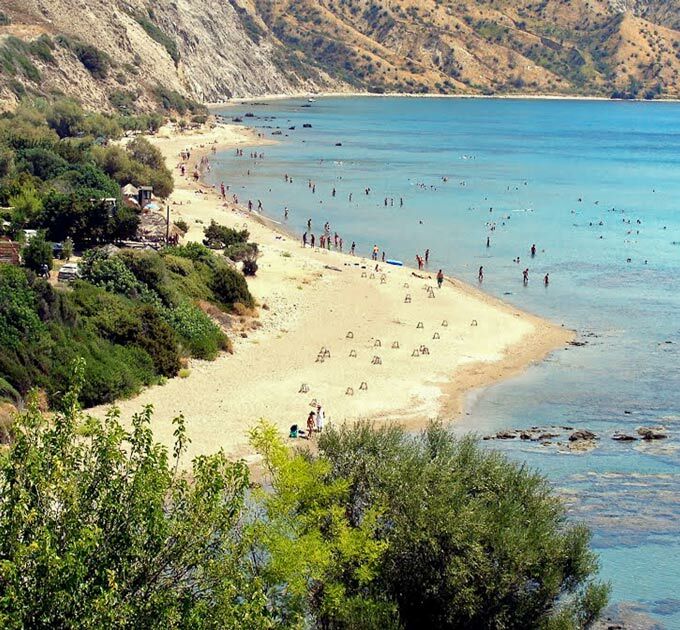 Kalamaki beach is a natural continuation of Laganas beach which is equally beautiful. This sandy beach is located close to the airport and is dominated by impressive rock formations. At the centre of the beach you can find some nice tourist facilities. Kalamaki resort is one of the most developed tourist resorts of Zakynthos island. Tsilivi is one of the most popular resorts in Zakynthos. Due to the developed tourist infrastructure, the area attracts many visitors during the summer season. Luxury hotels, apartments and studios as well as restaurants, bars, night clubs, shops and taverns are available for all tastes and budgets. 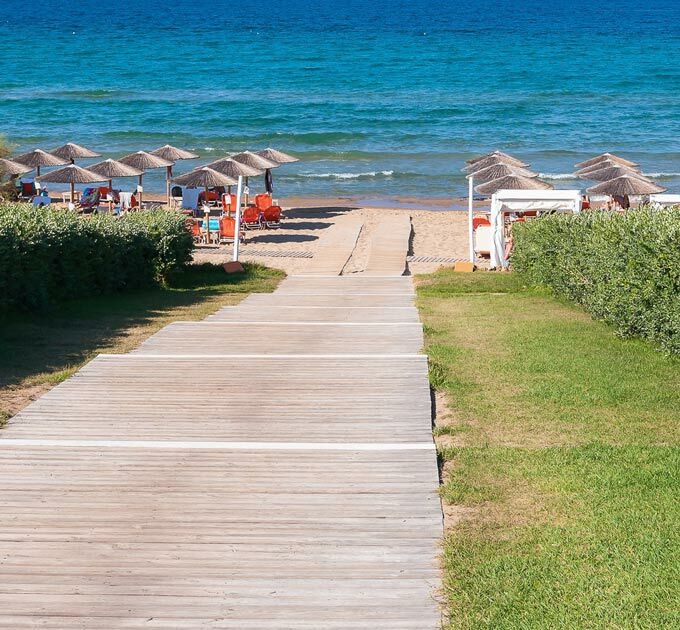 Tsilivi beach is a long sandy beach with very shallow water, safe for families with children. There are many options for water sports as well as good international and local food at the taverns near the beach. You can also find several beach bars to relax. Agios Sostis is a small beautiful beach in Laganas bay. Although it is less cosmopolitan, it is wonderful and offers many options to its guests. The area is full of Caretta Caretta sea turtles that swim without being undisturbed by the swimmers. A small picturesque beach in the area of Kypseli is Amoudi. Deep crystal-clear waters and sandy beach offering endless hours of carefree and sunbathing. Amoudi beach is ideal for those who want tranquility and serenity. 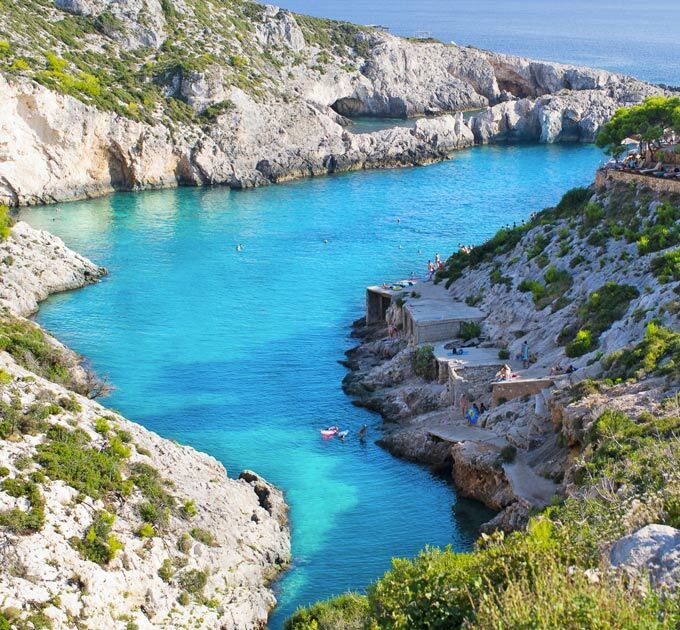 Located opposite Marathonisi, the island of Caretta Caretta turtle, Keri Lake (Limni Keriou) is a picturesque beach with pines and full of caves that await to be explored by the visitor. A couple of taverns and bars are scattered along the bay. In Alykes area, there are the beaches of Alykes and Alykanas, one next to the other. These are two of the most beautiful scenic beaches of the island and are located on the north side. An endless sandy beach, warm and clean waters, will keep you at the beaches of Alykes and Alykanas, endless hours. 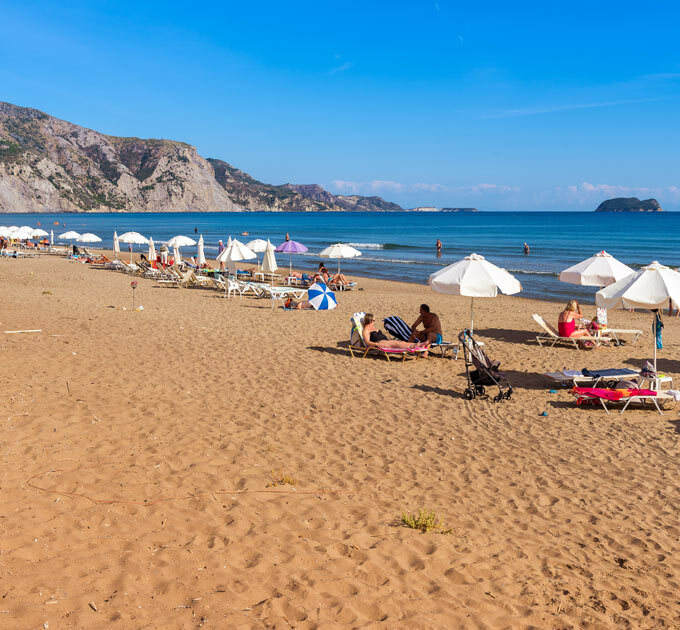 For those who do not wish to leave the town of Zakynthos, an ideal destination is the Municipal Beach. Sand and pebbles, crystal clear and deep blue waters, with umbrellas and deck chairs, this is undoubtedly a good suggestion for those who don't want to travel many kilometers to get to the beach. Korakonisi is one of the wildest and most beautiful locations in the lacey coast of Zakynthos. A landscape, rare and idyllic, with a beautiful scenery. A rock in the sea which is connected to the mainland by a narrow strip of land. A game of colors in the sun, in the west of the Ionian Sea.